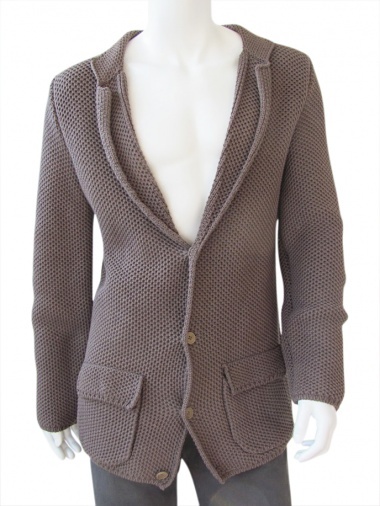 Honeycomb Jacket 100% Cotton by Giulio Bondi - Clothing Men Jackets On Sale. Light brown honeycomb cottonjacket, clear buttons, wide lapels, flap pockets, soft and long slim. Grunge style.